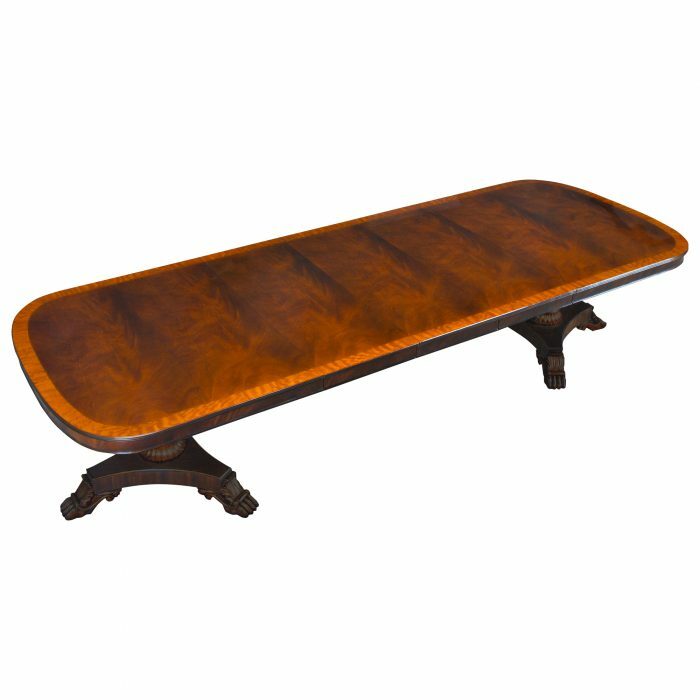 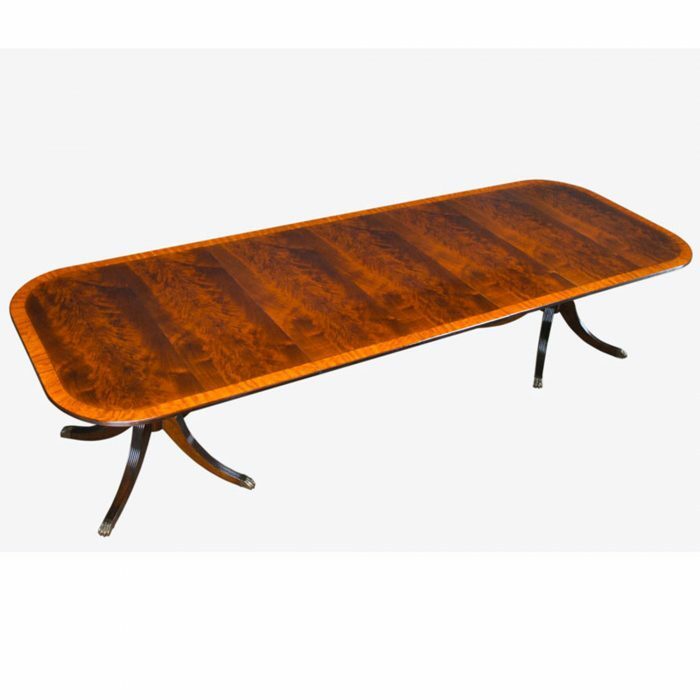 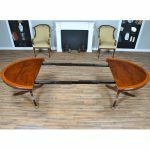 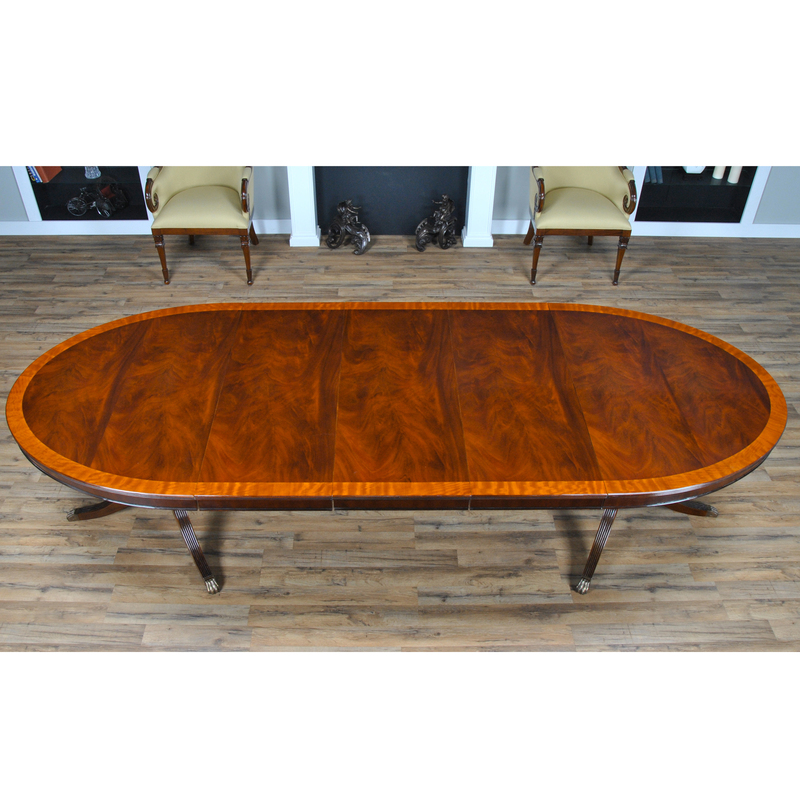 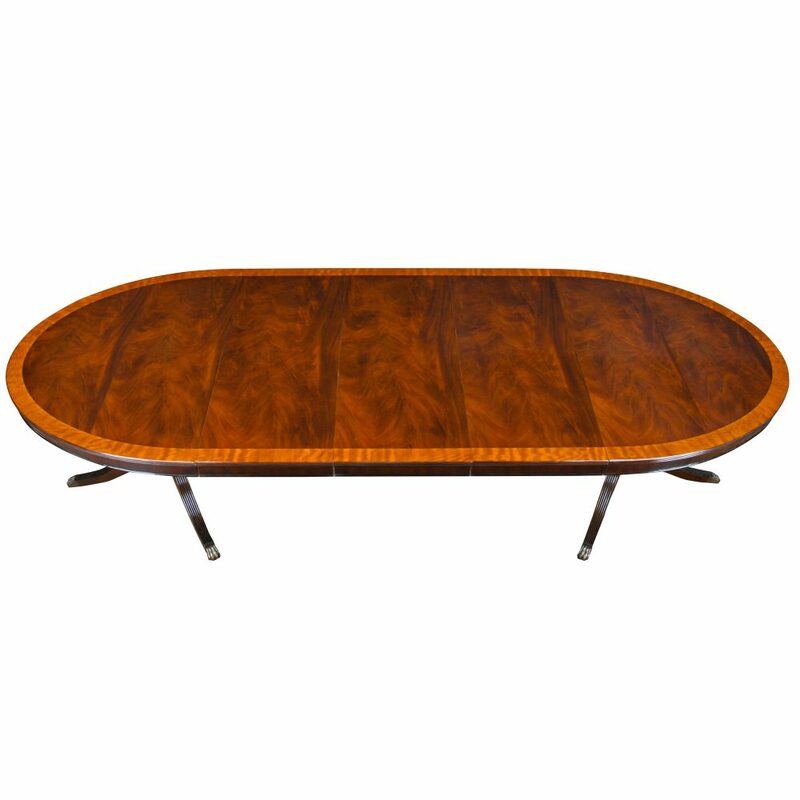 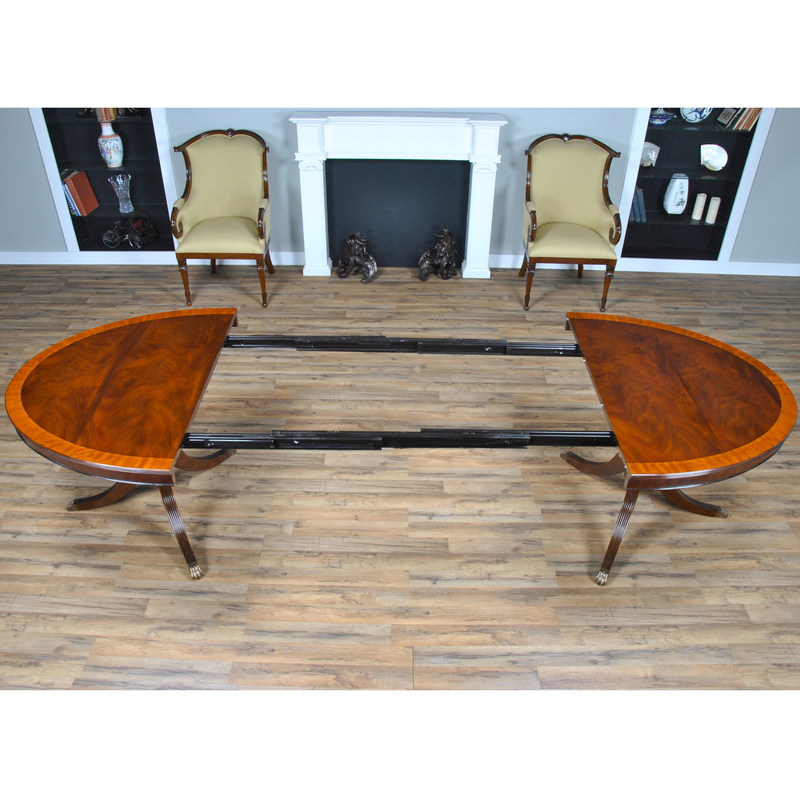 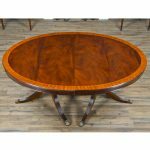 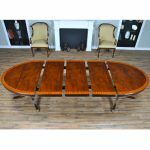 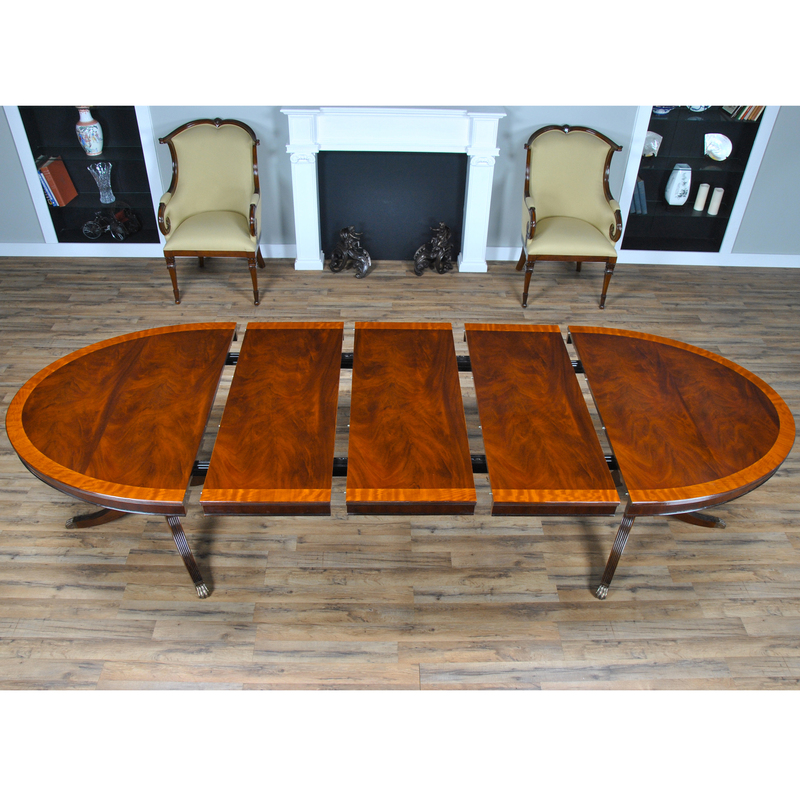 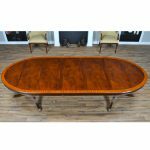 An unusual Long Oval Mahogany Dining Table. 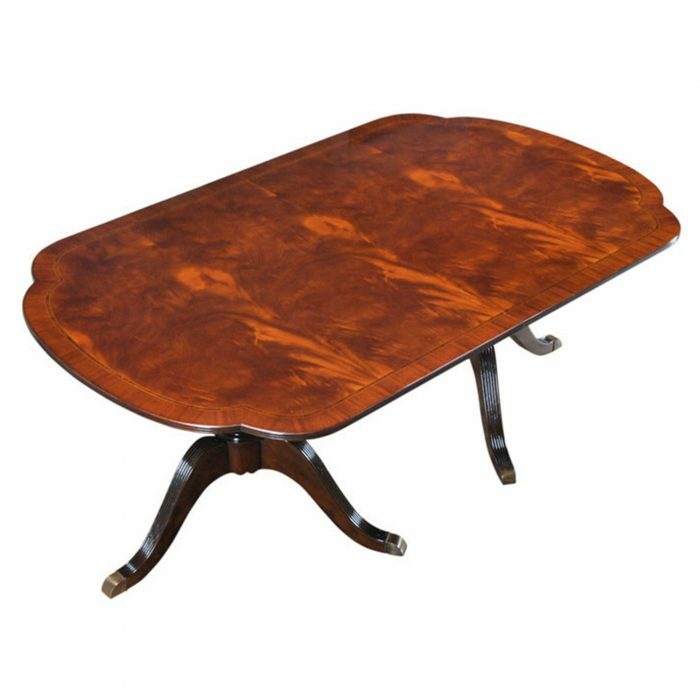 A great table for narrower spaces this dining tables’ tapered ends allow for greater movement around the table even when guests are seated. 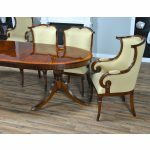 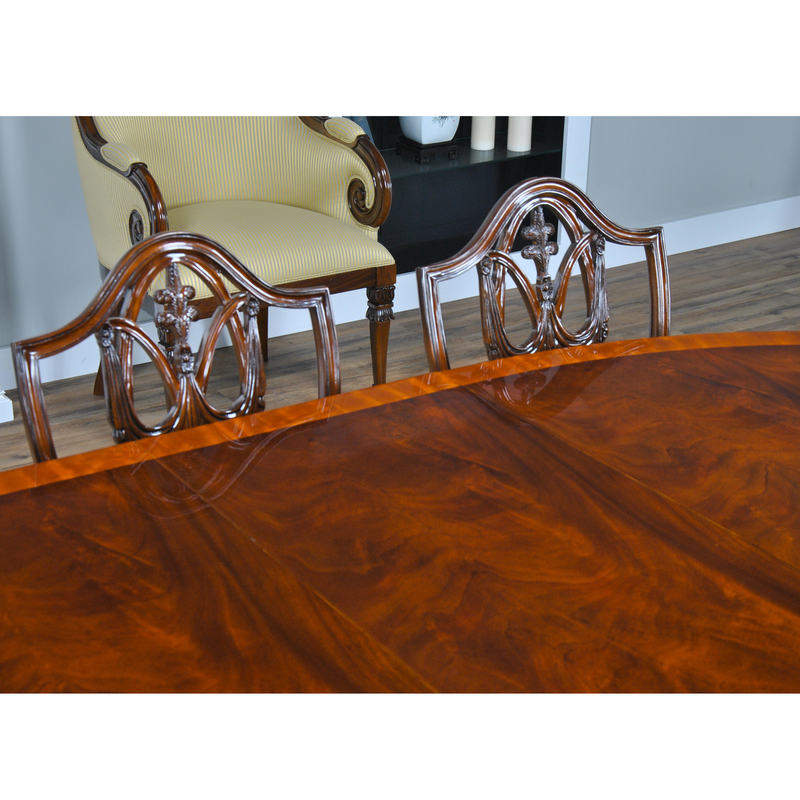 When closed the long Oval Mahogany Dining Table closes to a smaller size than many of our dining tables and still can seat six in average sized chairs. Fully opened on the American made metal rails and with the three table extensions in place the table can accommodate ten people easily with an average sized chair, twelve people when using a narrower sized chair. 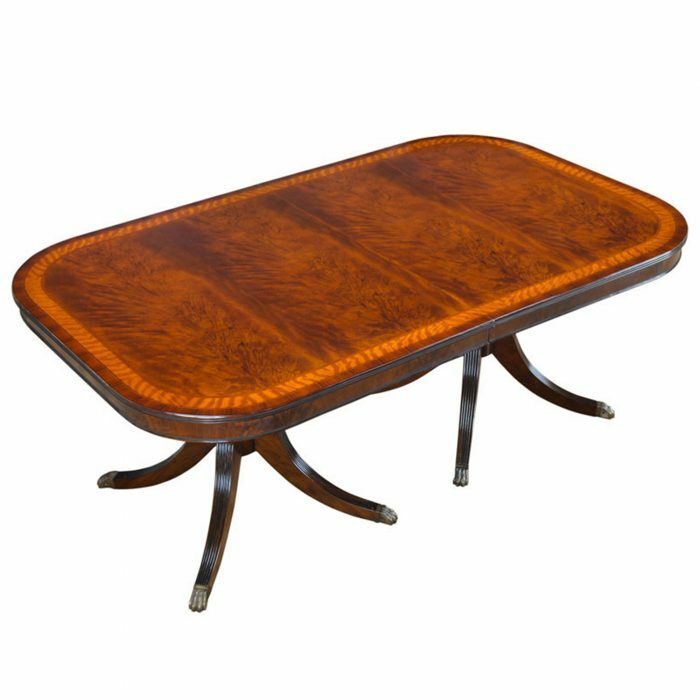 Elegant and sophisticated the figural grained top, surrounded by satinwood banding and a fully reeded edge give a luxurious feeling to any dining room. 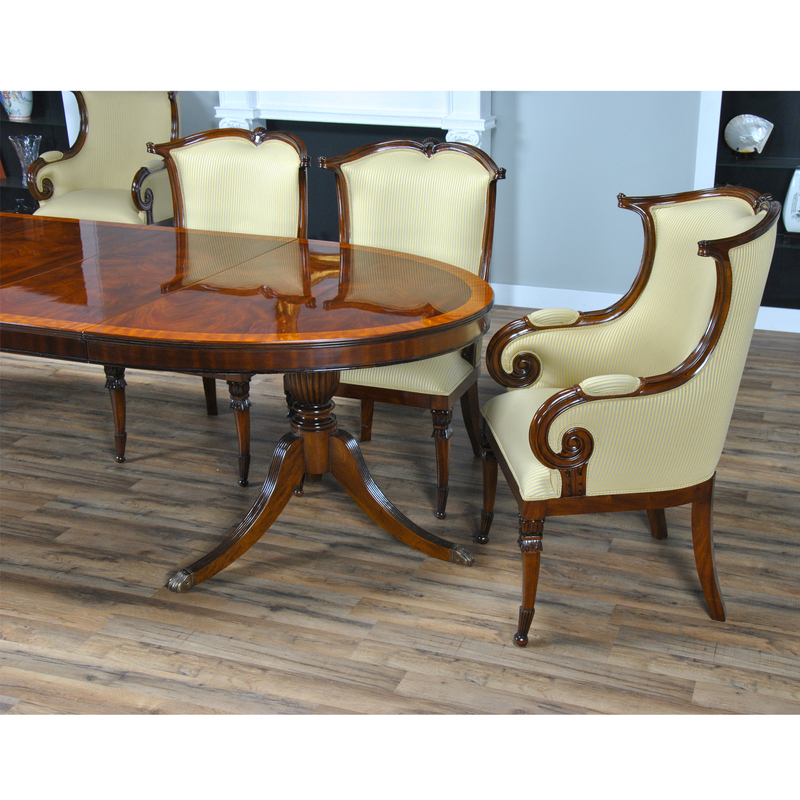 The pedestals are hand made from solid mahogany and end in brass capped feet.